Riding around Lake Superior gives you insights into two different countries, one vast province, three states, varying landscapes, and the amazing people that make it all click. The route keeps you focused on circumnavigating the shoreline, but beyond that, inland, lies some incredible riding opportunities. If you have the time, these routes should not be missed. Areas such as the Algoma region, the Thunder Bay area and the Keweenaw Peninsula are a great excuse to extend your trip a few days. Located at the eastern edge of Lake Superior, this region is a rock star for twisty roads and epic scenery. 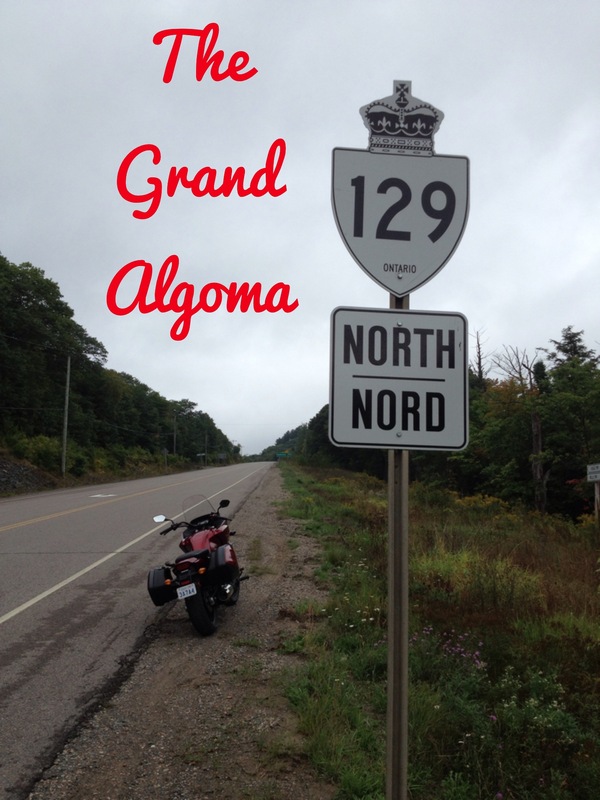 Home to one of the most beautiful sections of the Trans Canada Highway (between Sault Ste. Marie and Wawa Ontario), the Grand Algoma Tour won’t disappoint. Allow an extra two days to complete the route. If you are a ‘stopper’ plan for three, as there are numerous lookouts, funky shops and restaurants to enjoy. Thunder Bay is way, way more than a pass through or gas stop. Thunder Bay has some amazing lookouts, waterfalls, canyons and THE GIANT: an island in Lake Superior known by local Ojibway as Nanabijou. Legend has it that the giant was turned to stone when a rich silver mine’s (Silver Islet) location was disclosed by him. From the Thunder Bay waterfront the Giant looks as though he is lying on his back with his head facing east. 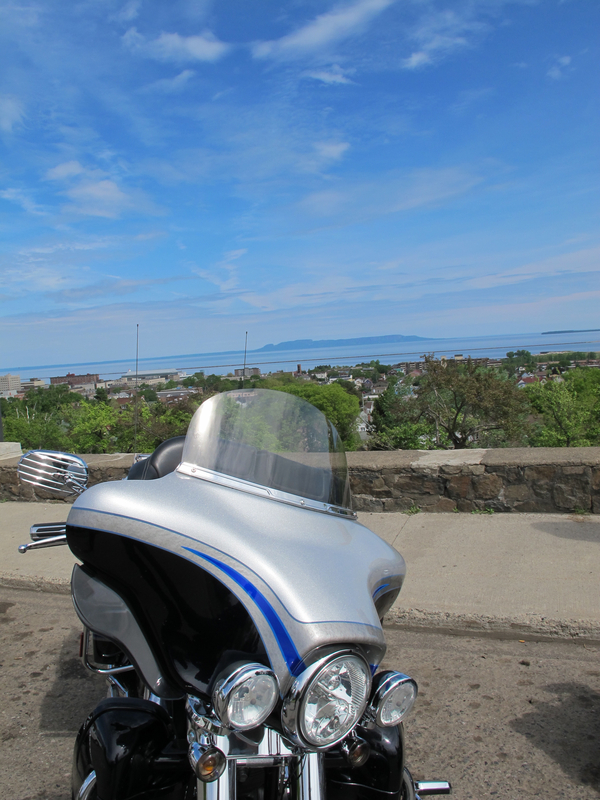 You can’t actually ride on top of the Giant but you can follow his path along a twisty road that heads to Silver Islet through Sleeping Giant Provincial Park. 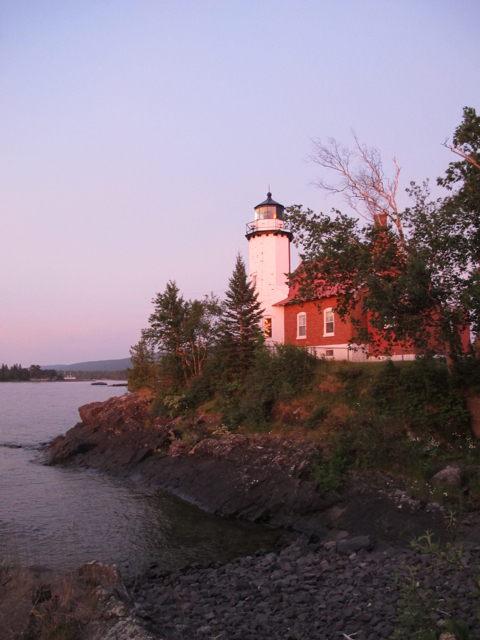 The Keweenaw Peninsula is perhaps the crown jewel of Michigan’s Upper Peninsula. It also contains an amazing motorcycle road that must be ridden several times – US 41 at the top of the peninsula. 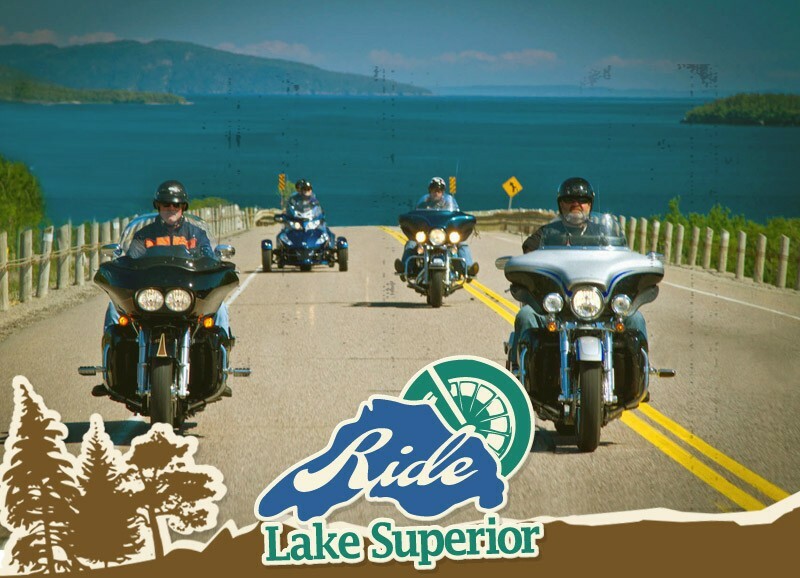 The Ride Lake Superior route has you exploring the Keweenaw, but we recommend that you stay an extra day to really get to know the roads, the scenic lookouts, and the small town charm. This Peninsula allows you to get really intimate with the Big Lake as it juts way out into its core. As you ride the Keweenaw’s shore roads, you’ll find yourself imagining what it’s like in November when a wicked gale blows through.